the way their products are presented is really outstanding. Since recovering their currency and ditching the Rouble (after the breakup of the Soviet Union) their currency has become an enormous source of national pride. Their mint and banknote factory are equipped with the latest and best technology often earning them top awards in international competitions. Subject matter covers a fascinating history from the Silk Road to Space Travel, all trips to the International Space Station currently depart from Kazakhstan. The "Space Series" of coins is bimetallic using silver and tantalum, a metal that is widely used in spacecraft construction. This combined with a very clever way of creating collection threads where one coin is related to another which is related to a banknote and so on makes research and series building a lot of fun. Coins are produced in miniature and continue in size right up 1 kilo in gold and silver. Small mintage numbers ensure rarity going forward. For me Kazakhstan really represents a model for how a mint and banknote factory can best serve collectors and investors. Thanks for asking pandamonium......disclaimer, I do not have any of these items for sale nor am I associated with any body that has them for sale. This collection I completed a few years ago for about 1/2 the current cost. As you will see the the '15th Anniversary' coin is the key, interestingly it is available in a number of issues including 1 kilo gold. This is the collection I am working on now, it is quite a bit more challenging. The key coin is "Twenty Years of National Currency" again available in a number of issues including 2 Kilo gold. Identifying the banknotes is the challenge, one of them I believe is the 10,000 Tenge that won the "International Bank Note Society's" bank note of the year award in 2011. Once this collection is completed I can take it a step further by collecting a series of coins that commemorate the portraits on banknotes. If any of you are into banknotes I would appreciate your help in identifying the ones on the "Twenty Years of National Currency" coin. Yes, I agree with you Pandamonium. I looked at the Mongolian issues and I particularly like this coin. Thankyou to all of you that have taken time to look at this collection. I have added one more item to it, a sheet of stamps that features the key coin, it shows the coin in 1 oz silver and 2 kilo gold. I have now purchased most of the items but am still unsure about some of the bank notes. The notes that Iam unsure of (as they are illustrated on the key coin) are the Al-Farabi 200/500 tenge, the 5000 tenge and the 10000 tenge which I believe won the "International Bank Note Society's" bank note of the year award in 2011. If anybody has an opinion regarding these notes I would appreciate hearing from you. I have the 500 tenge Sputnik coin (silver/tantalum) and the Vanera one. 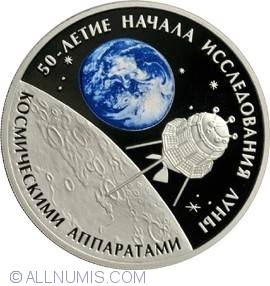 Also the Russian 2009 3 rule space coin. The use of Tantalum in the space series makes for some really attractive and interesting coins Not only is it quite beautiful, it is widely used in the making of space crafts. It is named for the Greek god Tantalus who was made to stand in a pool of water beneath a fruit tree with low branches, with the fruit ever eluding his grasp, and the water always receding before he could take a drink. Many people dont realize that if you want to go to space these days you have to leave from Kazakhstan.